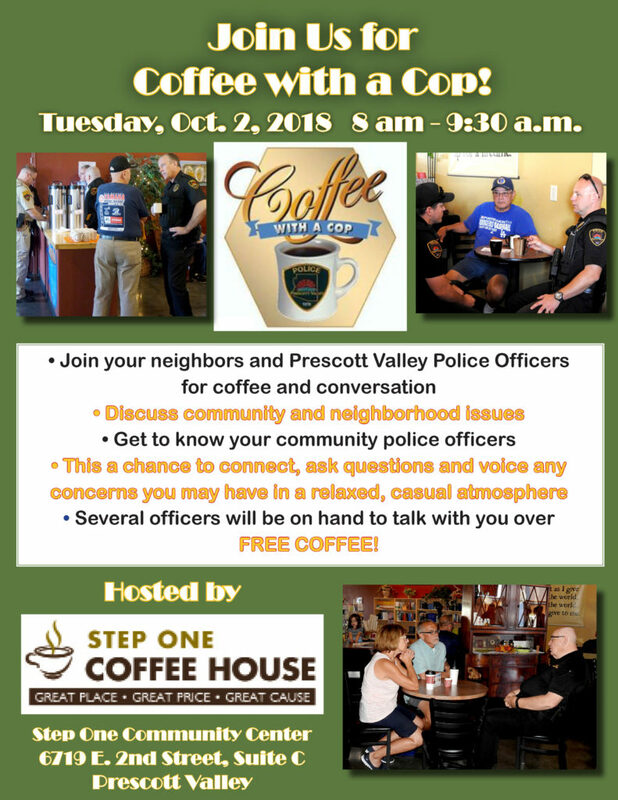 Stop by Step One Coffee House to join your neighbors and Prescott Valley Police Department officers for coffee and conversation on Tuesday, Oct 2 at 8 am. 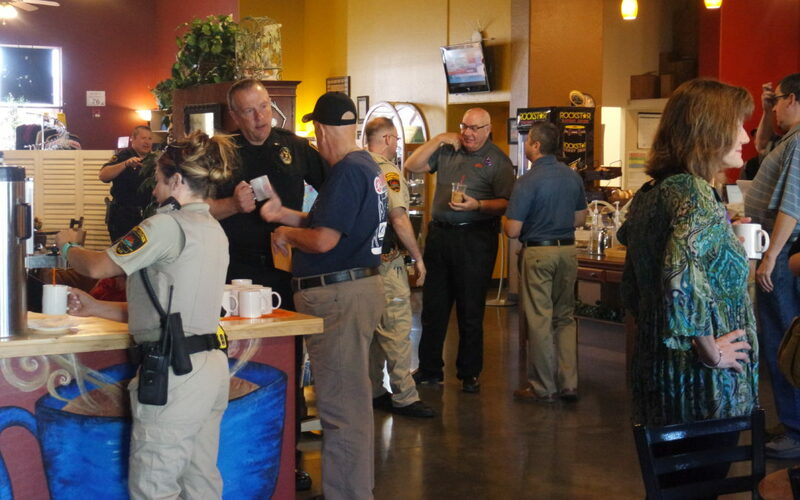 It is a great opportunity to connect and get to know our local law enforcement, ask questions about community issues, and enjoy a FREE cup of coffee! October is Domestic Violence Awareness Month, so we will also have purple ribbon pins available for you to help spread awareness all month long in our community.